NOT that long ago, cats got scraps. Lucky ones might feast on Spratt’s Patent Cat Food which provided puss with boiled horseflesh, sold from barrows by street urchins. From the 1960s to the 1980s we bought tinned pet food. Those were replaced by more sophisticated pouches of lovely sounding food, advertised for its quality as cuisine. Last month vegan cat food arrived. Even people who love cats find some of their habits are hard to swallow, and for a vegan it is just too difficult to face the fact that felines are ruthless carnivores. The cat’s desire for fresh meat now has to be subjugated to its sensitive owner’s beliefs and feelings. Britain’s vegan population has increased from 150,000 to 542,000 in ten years, alongside a vegetarian population of 1.14million. Vegans are 63 per cent female and almost half are under 34. As an animal lover I was not unhappy at this development. I was almost pleased when the lordly William Sitwell lost his job at Waitrose Magazine after he expressed a desire to kill vegans. He was probably in trouble because he misread the situation; vegans are no longer radical, they’ve gone mainstream. Marks & Spencer, Sainsbury’s and Tesco have introduced vegan ranges. None of that triumvirate has taken any interest in using sustainable palm oil in Christmas produce, sticking to the old planet-destroying variety, but they have spotted this lucrative middle-class market. Pret a Manger has introduced vegan sandwiches. Wagamama has a new vegan menu, Pizza Hut recently joined Pizza Express and Zizzi in offering vegan pizza. Last year Guinness followed the trend and stopped using fish bladders in its brewing process. There are plant-based ‘festivals’ around the country, even in Blackpool, which also has a vegan restaurant. What’s not to like, I thought, until I heard leaders from ‘the vegan community’ interviewed on BBC Radio 4. They sounded so virtuous, taking that tell-tale high moral tone which made it obvious they are just another angry tribe. The language of the interview was full of those key-words indicating that they’ve joined the culture of identity politics. ‘Community’: vegans are strictly middle-class, but see themselves as Left-wing activists. ‘Narrative’: the story of their own persecution, ‘hot-house’: the inevitable future of the planet, ‘tipping point’: irreversible destruction. This was in a conversation about cat food. As with other groups, from transgendered men to those seeing racism ingrained in every white skin, vegan madness has started. The fanaticism of identity groups takes time to accrete. Veganism is the only one which can be traced through brands of cat food: packets advertised with words such as ‘whole’, ‘nature’, ‘proper’ and ‘ethical’ have been around for about five years. Cats once ate greens only to make themselves sick but food containing ‘garden vegetables’ and even pumpkin is now available. 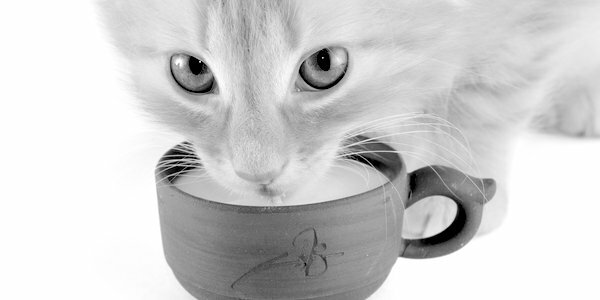 A company called ‘Lily’s Kitchen’ offer cats a diet which is grain-free, organic and hypoallergenic. Gluten-free ladies also now demand grain-free pet food, on the principle that if they cannot tolerate something their animal companions must be the same. They also favour giving their animals ‘probiotics’ to help them digest their food. It all sounds incredibly nice, noticeably none of it rodent flavoured, rather reflecting the human owner’s taste and sensibilities. At the National Pet Show in Birmingham in November there was a large display of vegan food and ‘ethical’ non-meat alternatives. The RSPCA were unimpressed. With a zeal of their own, they pointed out that cats are strict carnivores and depend on specific nutrients in meat including taurine and arachidonic acid and can suffer from bladder stones and blindness if they get a totally vegetarian diet. American cats have been forced into veganism for most of this century. Many of them are also de-clawed – illegal here – and kept indoors. UK cats may yet escape the clutches of this new interest group and remain impervious to the effect of buzzwords and groupthink on their humans. Most of them just go and eat next door, visit any number of cat flaps even streets away if necessary; they depend on humans but will never be willing to go hungry for the sake of an ideology, no matter how worthy it is.